The occupants were found lying around the vehicle after they were ejected when it rolled. Five people died and six others were injured on Friday morning after a minibus taxi rolled on the R23 Heidelberg Road in Brakpan. ER24 Spokesperson Russel Meiring said paramedics found the taxi lying upright on the side of the road. “The occupants were found lying around the vehicle after they were ejected when it rolled,” said Meiring. “Upon assessment, paramedics discovered the lifeless bodies of four men and one woman lying a short distance away from the vehicle. Meiring said six other injured people were found on the scene. He said paramedics treatment and provided the critically injured patients with advanced life support interventions. “Once treated, the patients were transported to various hospitals in the area,” said Meiring. 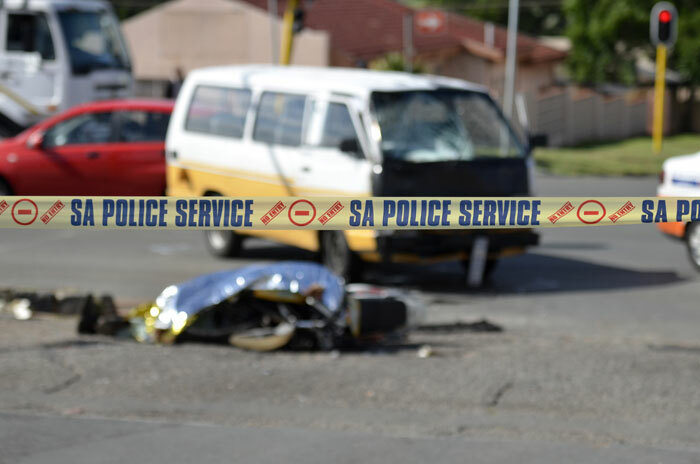 Local authorities are investigating the cause of the deadly East Rand crash.